The sunshine in front of my balcony reminded me of the last family vacation. We had a wonderful family time and I found the time to take some pictures as well. 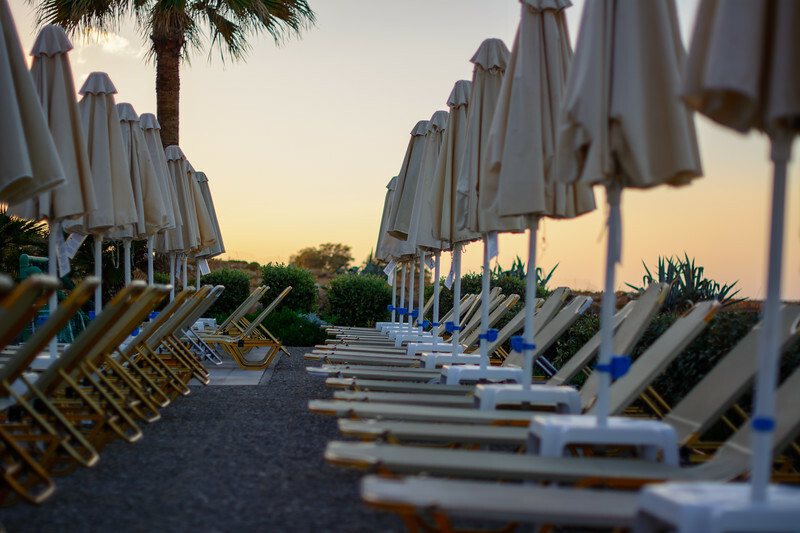 The sun loungers are full of people during the day, but in the evening, all of them are empty. Together with the sunset, this makes a wonderful view with an interesting pattern. While I took the pictures my fiancee and my daughter were playing around me. What a wonderful memory.